Mortgage Calculator Pro is the only mortgage calculator you will ever need. 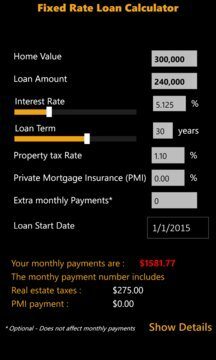 This simple and yet powerful calculator can calculate your monthly payments for fixed rate mortgage loans as well as Adjustable Rate Mortgages (ARM). 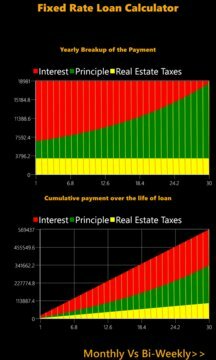 It also calculates your affordable home price based on your income and your debts. Results of the calculations are presented in the easy to understand format.